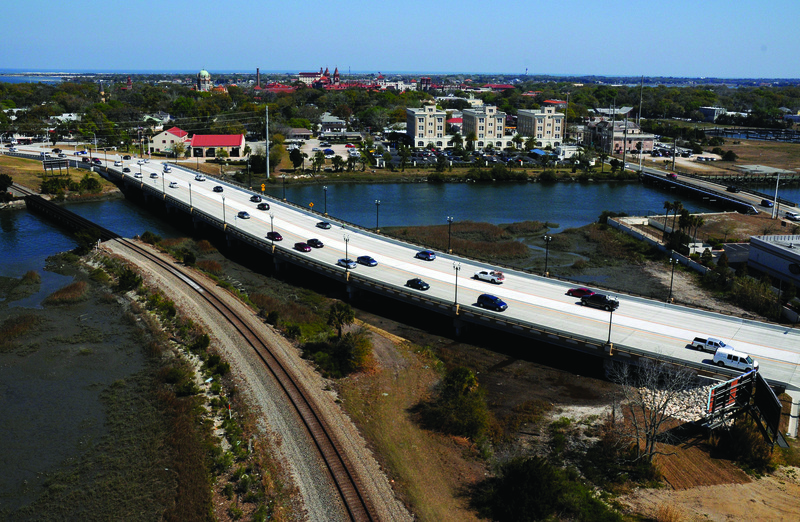 Florida DOT’s roughly $13.4 million San Sebastian River Bridge Replacement Project improved traffic flow and enhanced safety and mobility for the residences of St. Augustine while coming in less than half the original cost estimate. The outdated and structurally deficient bridge was replaced to provide greater clearance over the San Sebastian River and make the bridge safer, adding shoulders and protected sidewalks. The bridge connected several businesses and neighborhoods with the historic and tourist sections of St. Augustine.